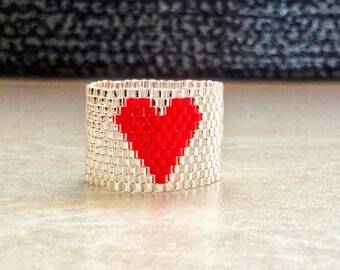 Celebrate the Christmas season in style with this skinny minimalist ring. The skinnier the better when it comes to rings. They make short fingers look long, long fingers look longer, and add a tiny touch of color that doesn't try to take over your entire outfit. It is also easy to wear all year round, because of its glamour vibe. 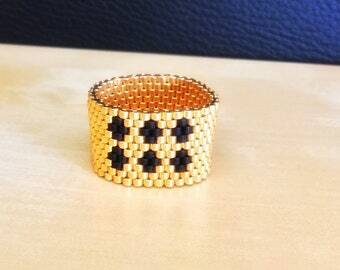 This delicate ring has been designed and crafted by me with love, care and inspiration, using premium quality Japanese glass seed beads (Miyuki Delicas) in two colors. One in galvanized yellow polished gold and the other in shiny black color. I have used a highly durable thread for weaving (Fireline thread). SouSou jewelry is made only with the highest quality materials and with proper care it could last a lifetime! The band measures approximately 0.7 cm (0.3 inch) wide. It is a 8 US size (57-58 EU size). 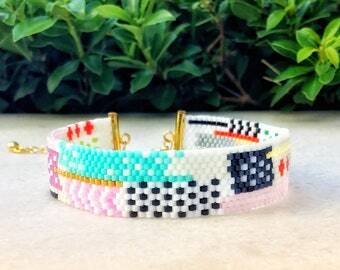 You can wear it alone or with other matching pieces of SouSou Handmade Art. These skinny rings layer beautifully with each other, as shown in the photo. 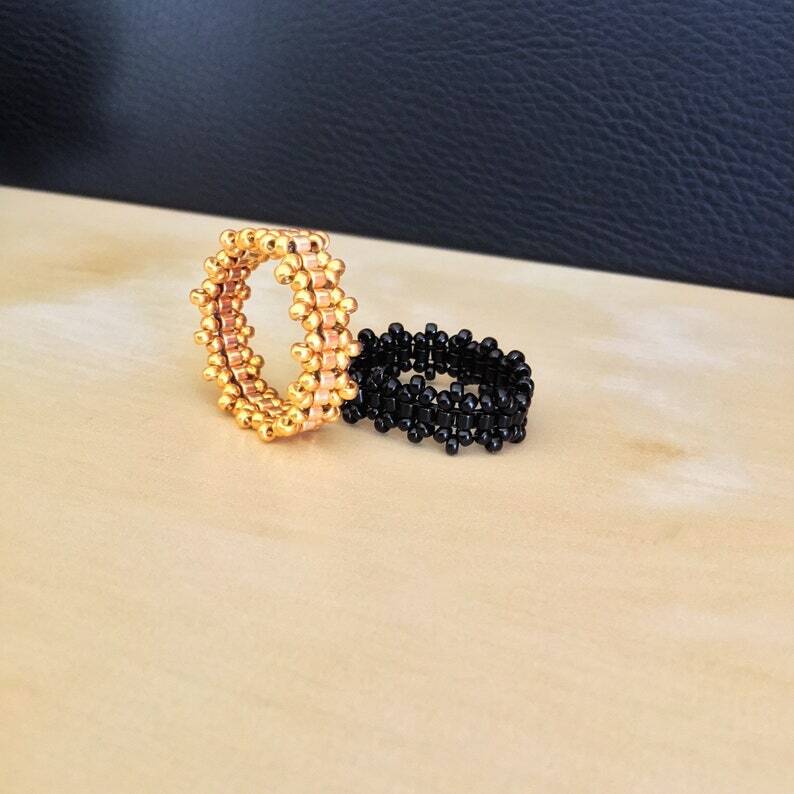 If you like the ring but prefer other color, please feel free to message me; I will do my best to accommodate your request!